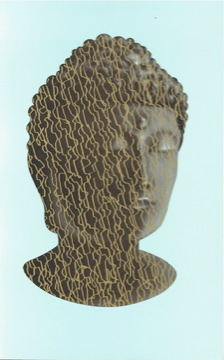 Siddhartha emerged as a symbol; the symbol of those who seek truth–their own truth. Written in a prose of almost biblical simplicity and beauty, Siddhartha is the story of a soul’s long quest for the answer to the enigma of man’s role on earth. As a youth, the young Indian Siddhartha meets the Buddha but isn’t content with the disciple’s role. He must work out his own destiny––a torturous road on which he experiences a love affair with the beautiful courtesan Kamala, the temptation of success and riches, the heartache of struggling with his own son, and finally, renunciation and self-knowledge. The name “Siddhartha” is often given to the Buddha himself––perhaps a clue to Hesse’s aims contrasting the traditional legendary figure with his own conception. This new edition of the classic Siddhartha includes The Dhammapada (“Path of Virtue”), the 423 verses attributed to the Buddha himself, which forms the essence of the ethics of Buddhist philosophy. I felt like Hermann Hesse was describing my own interior and exterior struggles. One could even hope that Hesse’s readers are hungrily imbibing Siddhartha, and that they will be so wisely foolish as to live by it. In Siddhartha the setting is Indian and we encounter the Buddha, but the author’s ethos is still closer Goethe…. Delight in Hesse signifies a new delight in human mysteries, in life’s possibilities, in the power of the will and the pleasures of the imagination.